With the launch of my new cookbook, I’m dedicating this entire week to clean eating freezer meals. I mean, if you have a freezer, you’ve pretty much got it made as a clean eater. You’ll never have to wonder what’s for dinner because it’ll already be in your freezer just waiting for you to heat it up! But my book isn’t the only resource I have for you. 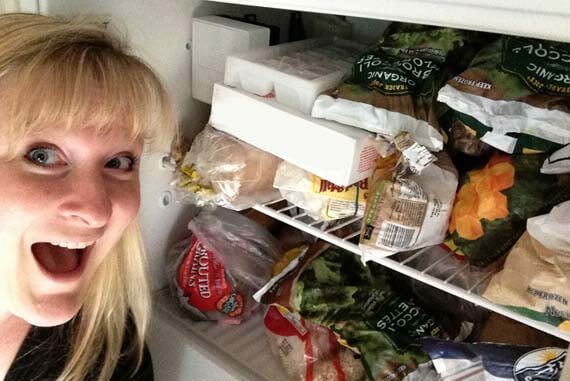 In fact, I have an entire section of freezer meals right here on my blog! Today I thought I would organize them a bit better for you and share them here in one, easy post. I hope you find something you like! PLEASE NOTE: The following recipes are recipes that you cook first, then portion out and freeze. My cookbook will have recipes that you assemble, freeze and then cook. There is actually a mixture of both types of recipes in the book and they are labeled accordingly. Noelle – Sorry, I should have clarified that. The recipe on my blog are “cook-portion-freeze” recipes. I only ventured into the other variety for my cookbook. I may do more down the road for my blog, but for now, you want to cook them first. Thanks for asking! I am making a lot of these. Thanks for giving us so many great receipes. This list is fantastic! Thank you so much for compiling it! I would love to see more of these make ahead meals. I love the ease that comes with them at dinner time.